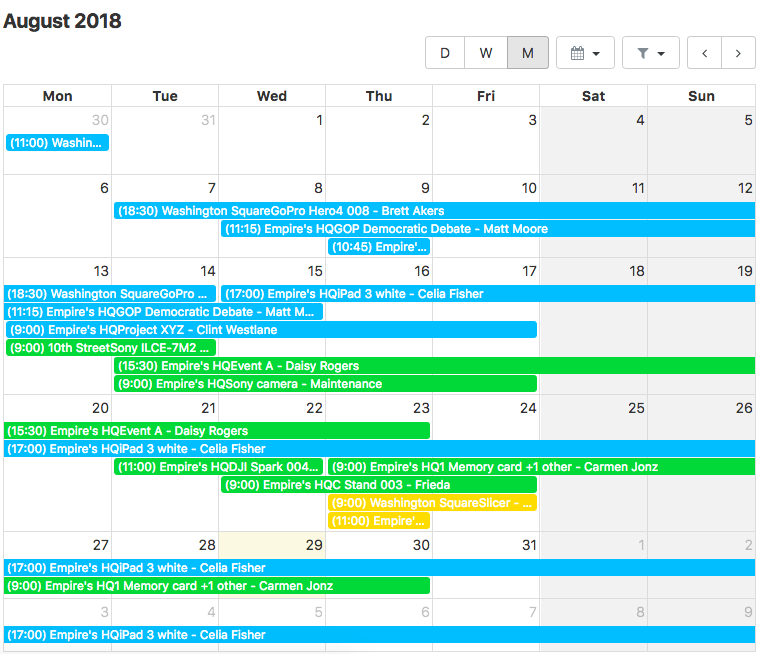 The CHEQROOM Calendar is a great way to have a quick overview of your upcoming bookings and check-outs. Now, besides having the option to filter by colored labels, you can also choose what information you see in the Calendar by picking the fields yourself. This can even include Custom fields. Synchronize this Calendar view to Google Calendar, Outlook or other calendar software with iCal. Note that refreshing iCal information can take a long time in some cases. How often does Google update it's calendar feeds?